The Temple Trager ECEC fosters a learning environment which encourages intellectual, social-emotional, spiritual and physical experiences for the preschool child. It presents a broad-based curriculum within the context of moral and ethical values. Our students study the Jewish holidays as they arise throughout the year. At The Temple Trager ECEC, we learn about their Biblical and historical basis as well as the songs, foods, symbols, and games associated with each. 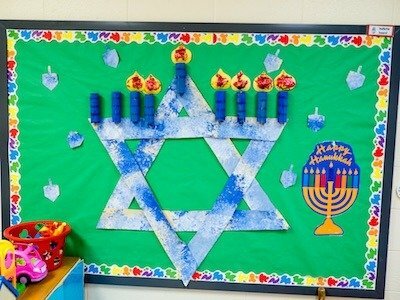 Throughout the school year, the Religious School invites families with young children to join us for activities relating to Jewish holidays and traditions. 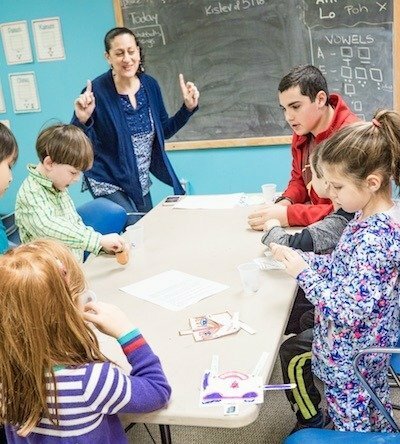 The “Training Wheels” program exposes children to learn about Judaism in a fun, friendly and interactive environment. “Training Wheels” meets several Sundays throughout the school year and is open to current, new and prospective Temple families.